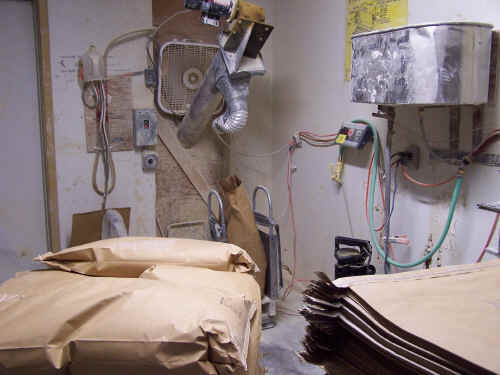 Here you see the dry clay bagging operation. 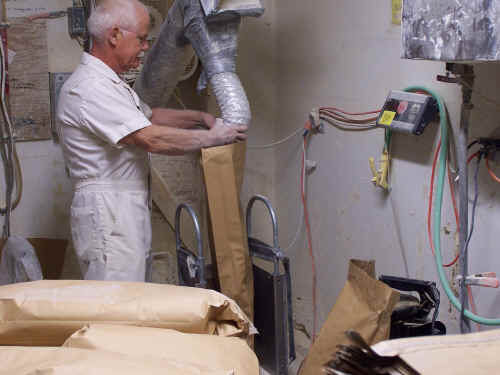 Each bag is electronically weighed with an Ohaus D100 digital scale (trade legal). 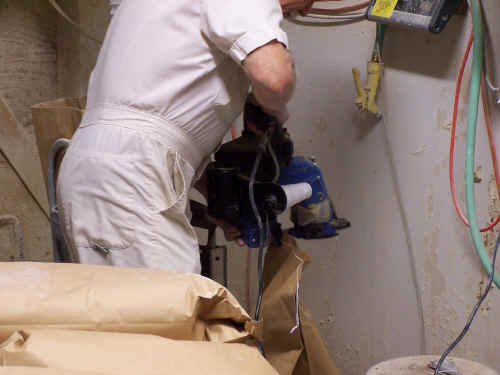 Here you see the fill spout being placed in a bag to be filled. 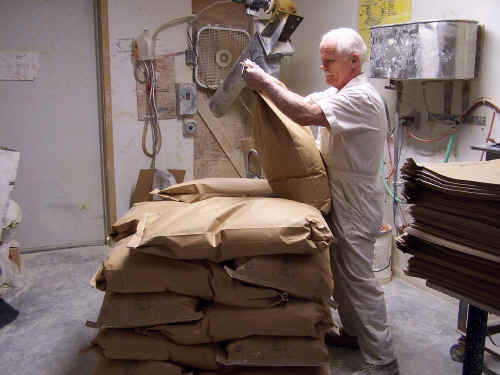 While it fills I sew the bag and carry it to the pallet and stack it very precisely. The pile is not too hard to reach at this stage but as the last row of 50 lb bags gets placed on the pallet it is quite a high lift. 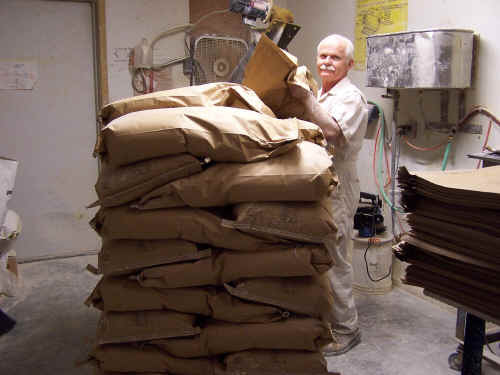 40 bags per pallet = 1 ton. So why am I not wearing a dust mask? There is a very large volume of clean air passing cross face (to avoid back eddies that billow dust into the breathing zone). 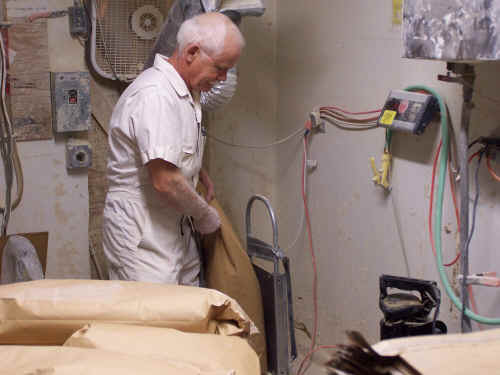 OSHA regulations consistently state that an engineered solution is the first choice for worker safety because dust masks and other elective safety equipment can be bypassed or used improperly by the worker.